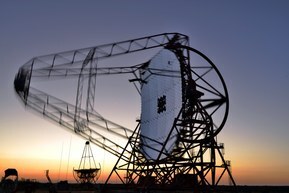 In the mountains of Namibia, the HESS telescope is in search of Gamma radiation emitted by bright and rotating stars. The resulting data volumes are transferred using glass fibre cables from Lapp. Around the world, scientists are searching for what is known as Cherenkov radiation. This is rare flashes of Gamma radiation indicated by a week blue light in the atmosphere. 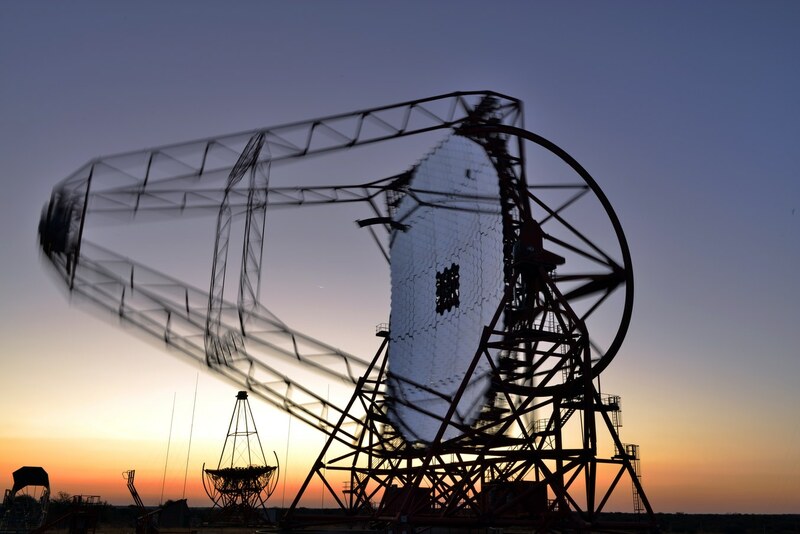 Namibia, with its clear air and perfect view into space, is the site of the HESS telescope, which has proved particularly successful in this endeavour. However, the dry climate is also a challenge for people and equipment. The old system has recently been upgraded and new cables have been installed - including several hundred metres of glass fibre cables from Lapp. Parts of the telescope are now around fifteen years old, almost an eternity in view of the advancements in camera technology and data capture. New glass fibre cables were installed to handle the constantly growing data volumes. To avoid having to ship all the cables over from the Max-Planck-Institute in Heidelberg to Namibia and thus reduce costs, the Institute was looking for a cable supplier in Southern Africa. Their range definitely needed to include glass fibre cables designed for flexible applications and fast movements, as the telescopes have to rotate quickly in different directions. They also needed a cable with a high packing density, so that a single cable could be installed in the constrained space of the power chain rather than multiple individual ones. They found a twelve-fibre cable in the Lapp catalogue. As a result, 500 metres of this HITRONIC® cable have now been specially produced for the project’s new cabling requirements. Of this, 380 metres are installed in the HESS, with the rest held in reserve. The fibres, each of which can transmit 10 Gigabytes per second, transfer the signals from the cameras to a computer in the control centre, including all the image data. However, data is only transferred when two or more telescopes detect Cherenkov light simultaneously, as only then is it likely to be a gamma pulse from a star. The HITRONIC® cable is designed for dynamic applications. When using drag chains, speeds of up to 10 metres per second are possible. The single cores are 0.9 millimetres thick and exceptionally resistant to bending. In addition, a connector can be attached directly to each individual cable element. The UV and oil resistant, halogen and metal free cable is not the only Lapp product installed as part of the upgrade: A four-fibre HITRONIC® cable conveys data for calibrating the cameras using LED lights. This happens every other night to keep down the noise of the photomultipliers that amplify the weak light signals. On the telescope, each camera is supplied with power by an ÖLFLEX® CRANE cable. The system already contained some 1 GB/s HITRONIC® cables. These are fixed installation and therefore do not have to follow the movements of the telescopes. Last but not least, some cables are installed in protective SILVYN® cable conduits. The HESS (High Energy Stereoscopic System) telescope is located near the Gamsberg, a 2,347-metre high table mountain in central Namibia known for its clear air. 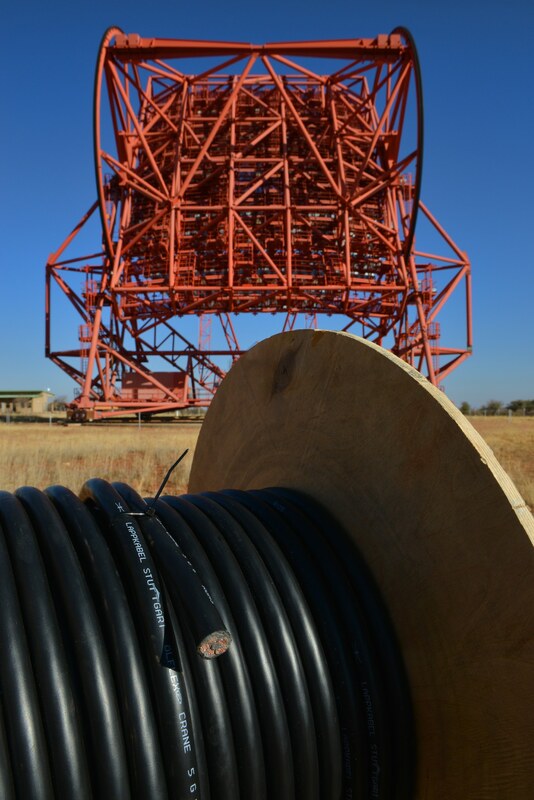 The four individual telescopes, which are positioned in a square with 120 metre sides, were commissioned in 2004. A larger telescope was added in 2012. The HESS telescope has already discovered numerous stars and Cherenkov radiation, providing astrophysicists with interesting clues about what is happening in the universe.